Home > Travel guide > What do Vietnamese people do on Christmas Eve? There’s definitely something magical about Christmas. You know how November rain and January blizzards give you chill and depression? Well, the closer it gets to Christmas, the warmer December winter gets. You know how people often wear dark colors in winter? Well, forget it ‘cause Christmas is all about red, white, and green. And you know how you just want to stay in and sleep through winter like a polar bear? Well, you just simply can’t resist the colorful Christmas light shows. Right? Right! Do you love Christmas? 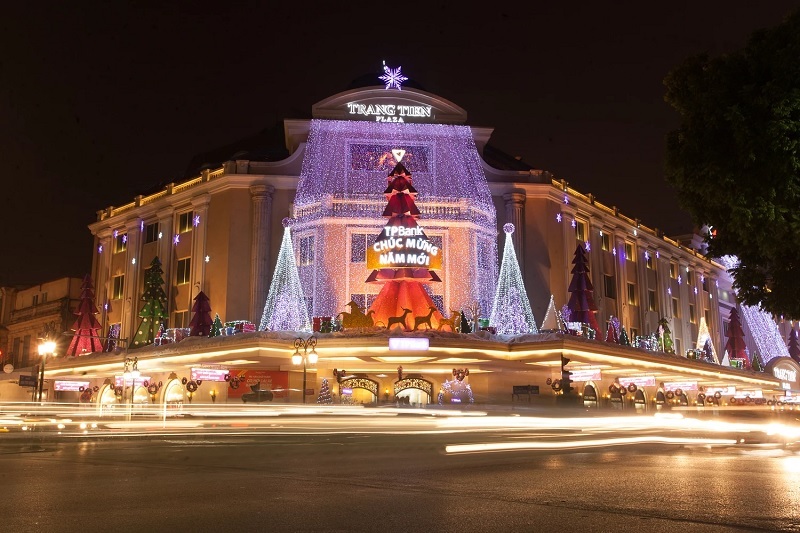 You have celebrated to Christmas in many different places, but Christmas in Vietnam is not? Do you have curiosity about Christmas Eve in Vietnam, what will the Vietnamese do on Christmas Eve? Yes, as in other countries, Vietnam welcomes a lot of interesting activities across the country. 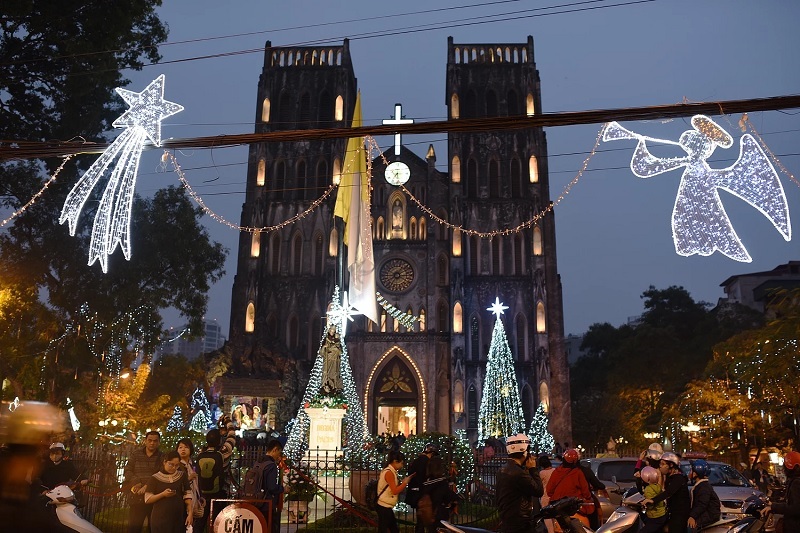 On Christmas Eve, Vietnamese people in Hanoi and Ho Chi Minh City, especially young people, like to go into the city centre, where there is a Catholic Cathedral. The streets are crowded with people on Christmas Eve and in the city centre cars are not allowed for the night. People celebrate by throwing confetti, taking pictures and enjoying the Christmas decorations and lights of big hotels and department stores. Lots of cafes and restaurants are open for people to enjoy a snack! Vietnam used to be part of the French Empire and there are still French influences in the Christmas traditions. Many Catholic churches have a big nativity crib scene or 'creche' with nearly life size statues of Mary, Joesph, baby Jesus, the shepherds and animals. In some areas of Ho Chi Minh City, usually in Catholic parishes, people have big crib scenes in front of their houses and decorate the whole street, turning it into a Christmas area! These are popular for people to visit and look at the scenes. Also like in France, the special Christmas Eve meal is called 'reveillon' and has a 'bûche de Noël' (a chocolate cake in the shape of a log) for desert. Vietnamese people like to give presents of food and at Christmas a bûche de Noël is a popular gift. Other Christmas presents are not very common, although some young people like to exchange Christmas cards. During these days, everywhere in Vietnam is filled with the cozy atmosphere of Christmas, which is also known as Noel with joyous celebrations by both Catholics and followers of other religions. Instead of spending Christmas in the cold air in Europe, choosing a vacation in Vietnam is a perfect idea and more enjoyable. Have a peaceful and warm Christmas!